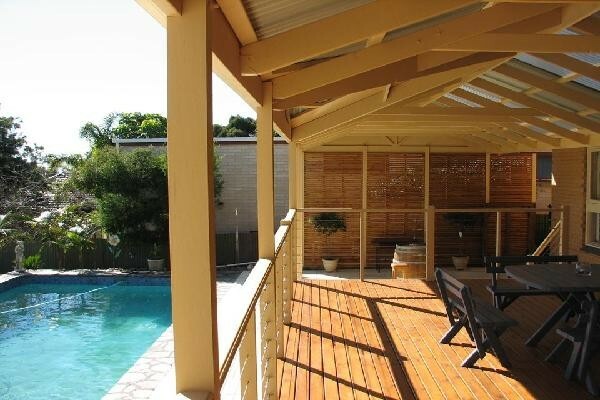 A garden Pergola can really bring a home design together and add a layer of sophistication to any outdoor space. 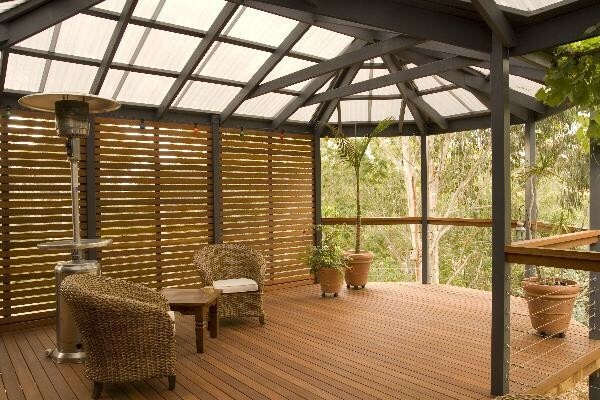 While many modern pergolas are simple and open on all sides, traditional pergolas are known for the vines that cover them. 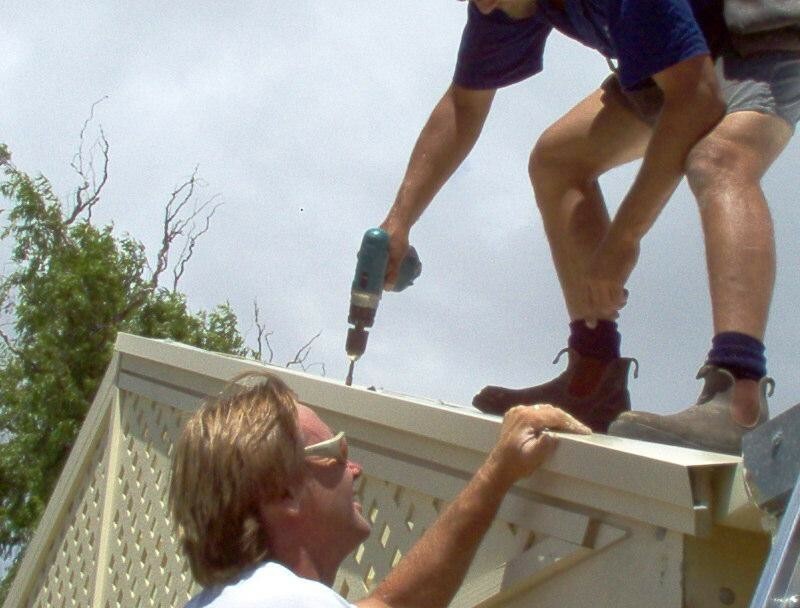 Pergolas have traditionally served the dual functions of providing shelter and shade while also providing a space for climbing plants to grow. There are many different vines that can grow well on pergolas, so individuals should research and determine which they prefer and will best fit their home and garden design. Wisteria vines are one of the most popular vines for growing on Pergolas, and can be relatively easily maintained. 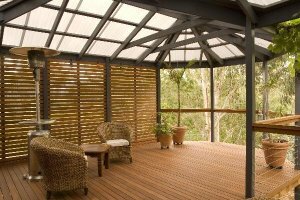 However, they should only be grown on free-standing Pergolas, as they can cause damage to the home if they grow to closely. The Wisteria is one of the heaviest and most sturdy types of woody vines, and blooms in a variety of colors. Japanese and Chinese Wisteria differ in appearance and blooming time, so its important to research before buying a plant. The vines usually bloom in either pink, purple, or white and produce a beautiful display in full bloom and even before. The Honeysuckle is a much lighter vine, but grows quickly and erratically, so it will need more space and perhaps more maintenance on the pergola. Some varieties of honeysuckle are illegal, as they are considered to be invasive plants, so it is important to choose a safe variety. Even though these vines can be very wild in appearance, most consider them to be a beautiful addition to the home. They usually bloom for several months, through summer and often part of fall. The Hydrangea is another popular type of vine, enjoyed for its simple beauty and elegance. The vine frequently wraps tightly around pergola structures, creating a well-balanced pattern and design. The Hydrangea is known for its waxy green leaves, which turn yellow in the fall, but also produces small white flower buds when it is around 3 years old. This vine is more sensitive than others, so it requires more frequent watering and attendance, and should also be protected from harsh sunlight. Despite this, its classic beauty makes it one of the most popular pergola vines. Trumpet vines can also grow successfully on a pergola, but will require a larger structure to do so. While trumpet vines are not woody, and are thus lighter, they tend to grow much larger than many other vines. Even with regular trimming, the trumpet vine will quickly overwhelm a smaller pergola. On a larger structure, however, the trumpet vine can make a beautiful addition to the home. Its large flowers come in yellow, orange, or red and frequently bloom for over half the year. The most common fruit vines that grow well on pergolas are kiwi and grape vines. When deciding to grow fruit on a pergola, it is important to consider the extra maintenance and upkeep these vines may need. Some grape vines can be more finicky than others, and will require more attendance to ensure proper growth and edible fruit. The kiwi fruit is not as fickle, but still requires more maintenance than many other types of vines. Fruit vines may also attract more insects and other pests, so it is important to tend to them regularly to avoid infestation. With a little work, however, fruit vines can make a beautiful garden addition and can provide fresh fruit for several years. While these popular vines grow well on pergolas, there are many more options and varieties available. Individuals should research and consider many different types of vines and choose ones they feel will best complement their home and garden. This is great I can now know how to add some character to boring brickwork of the house and be green too ! I didn't really think about the differing kinds of vines and their advantages and disadvantages when it comes to Pergolas. Thanks for posting this informative article.